Welcome back, students and staff. 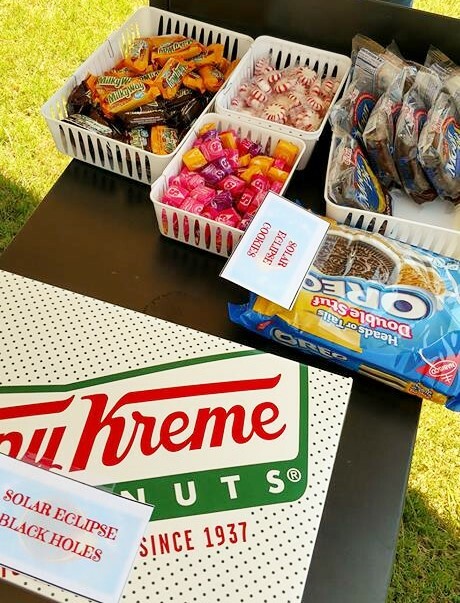 Our first event for the Fall 2017 semester was a Solar Eclipse Party. We had a great time. A number of students and staff gathered in the Library Courtyard to view this amazing celestial event. 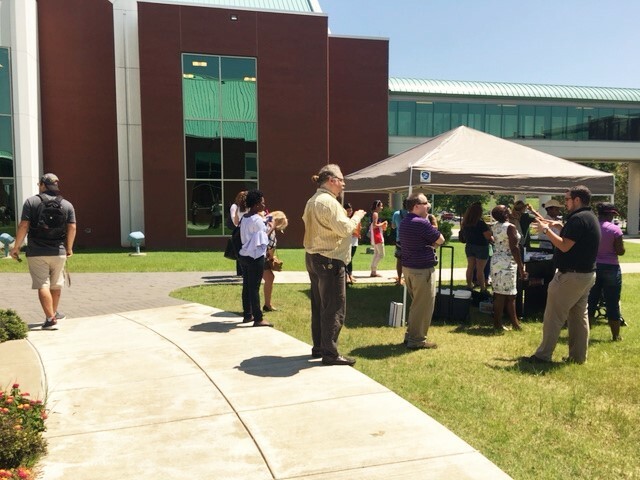 Eclipse themed snacks including Moon Pies, Starburst, Starlight Mints, and Sunkist drinks were provided. NASA approved viewing glasses were also provided, as well as Pin-hole viewers created by Librarian Karl Siewert. The library has a new Whiteboard table. 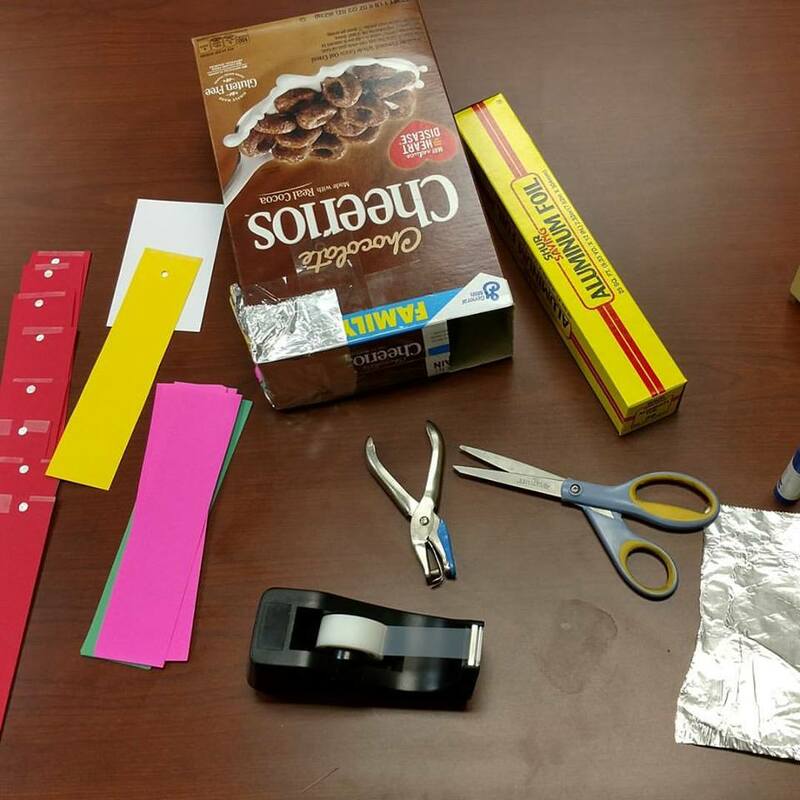 For this event, we used the table to present a question for students to answer concerning the Eclipse. 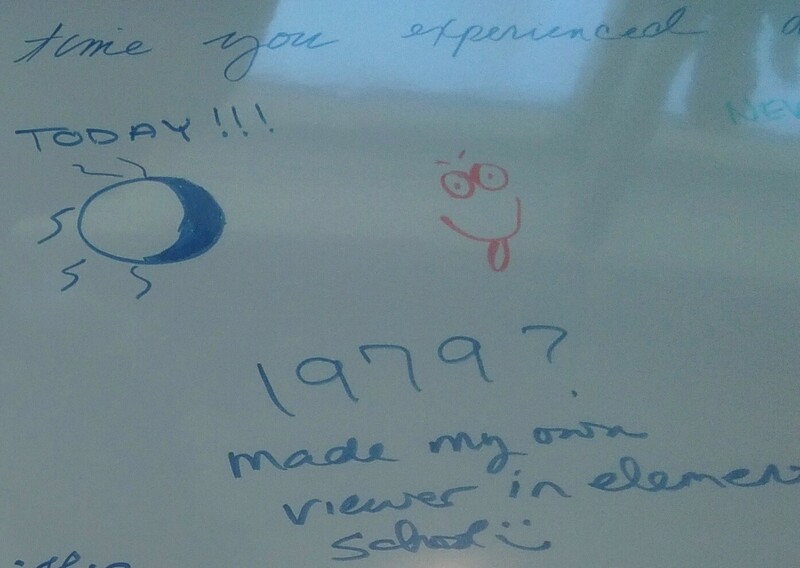 The question, “When was the first time you experienced an Eclipse?”, was answered by several students. Here are some of the answers. 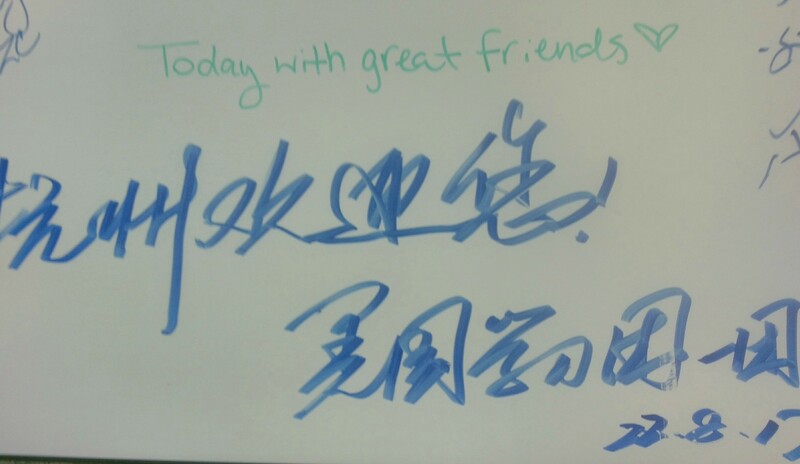 We even have a couple of answers in other languages as seen in these pictures. Stay tuned for more events here at the NSU Broken Arrow Library. 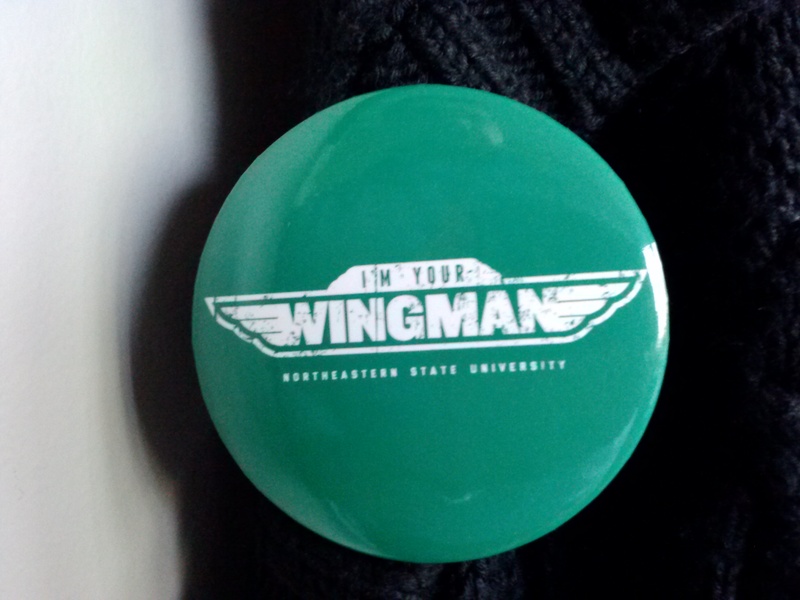 It’s going to be a great semester. Stop by for a visit and check out some of our Library displays on the 1st floor. We currently have an Award Winners Book display showcasing books that have won various literary awards. Along with several other campus services and organizations, the NSUBA Library participated in Welcome Week yesterday, informing students, faculty and staff of what the library can do for them. Our “Ask Me Anything” sign drew a lot of attention and provided Pamela and Karl with the opportunity to answer 13 questions ranging from “How can I find essays in the library’s databases?” to “My class starts in five minutes. Where am I supposed to be?” We also issued OK-Share cards to half a dozen patrons, allowing them to use their NSU library privileges at other academic libraries across the state. If you’re interested in the OK-Share program, or if you have a question of any kind, stop by the library’s 2nd floor desk and let us help you. It makes us happy!